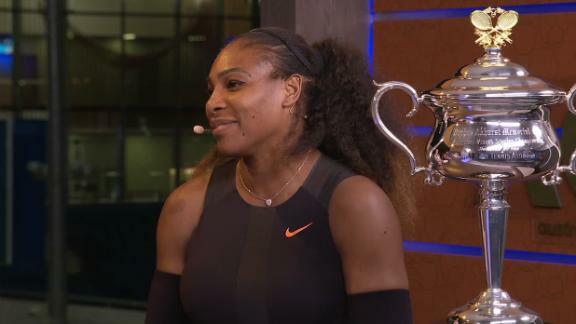 Former world number one Andy Roddick has heaped praises on Serena Williams, regarding her as one of the greatest athlete of all time. Roddick compared the American tennis star to the likes of boxing legend Muhammad Ali and Basketball retired star Michael Jordan. Serena breezed to the finals of the 2017 Australian Open, defeating her sister 6-4, 6-4 to lift the title for the seventh time – a record time in the Grand Slam tournament. Her victory helped her move past Steffi Graf for the most Grand Slam titles in the open era. The 35-year old relentless star overtook former world number one Angelique Kerber as she sailed to her 23rd Slam. She is just one shy of equalling Margaret Court’s 24 Grand Slam record – the most titles by a single player in the history of the sport.